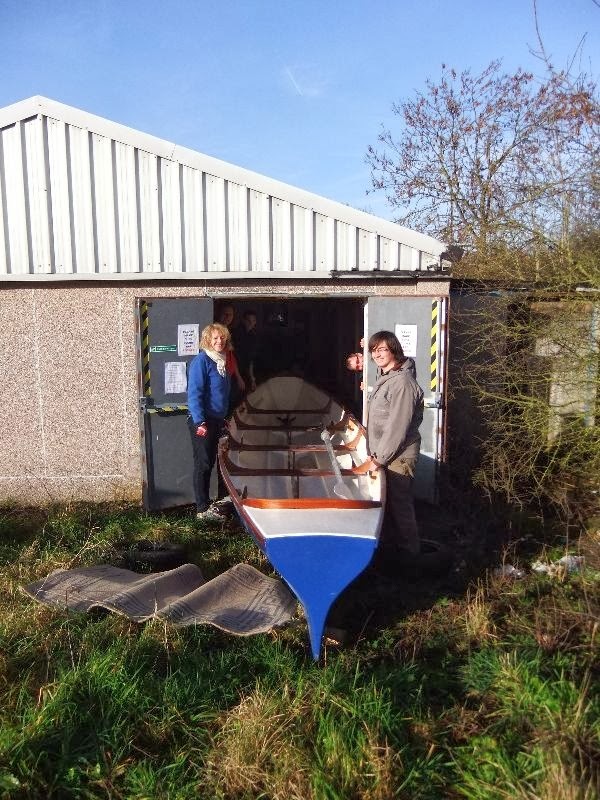 Keith Webster rang to tell me that the Seax Gig has emerged from its shed in Essex and should be on the water soon. She is looking good, and at 27ft 6in long should be fast too. Oh sorry. I misread the title. I'm in the wrong place. You would be surprised how many people say that! or perhaps not. The Seax is the Anglo Saxon short sword or knife 3 of which feature on the coat of arms of Essex. The heraldic version bears little resemblence to the real thing. Saddened but not surprised, Keith. I imagine the joke was around in Anglo-Saxon times.